During Saturday’s San Diego Comic-Con, the cast and crew of “Snow White and the Huntsman” descended on Hall H to thunderous applause. Director Rupert Sanders and producers Joe Roth and Palak Patel started off the panel by discussing what drew them to this project, with Patel saying he wanted to make the definitive version of the Brothers Grimm fairy tale. If you haven’t heard of the director, it’s because this is his very first feature film. Sanders is known for making commercials that look like two minutes of art and the studio thought he would be the perfect choice for this new take on a classic tale. The moderator immediately brought up the fact that there are currently two Snow White movies in production and wondered how they differed. Roth said he had seen the recently-released picture of Lily Collins in her costume as Snow White and could tell they will be very different movies with intensely different storylines and tones. He went on to compare “Snow White and the Huntsman” as a movie more on the scale of “Lord of the Rings” in size, scope and appetite. He then talked about how people forget that there have been many hit films, like “Armageddon” and “Deep Impact,” that for all intents and purposes were the same film, released the same summer just seven weeks apart. The funny thing is that he did research and found out that people who had seen the first of the two films were more likely to see the other a few months later than those who hadn’t seen the other. They then brought out the cast: Sam Claflin as Prince Charmant, Charlize Theron as the Evil Queen, Chris Hemsworth as the Huntsman and, finally, Kristen Stewart as Snow White. The film has not yet began filming, so we were shown a promo reel that Rupert Sanders shot and produced to entice the studio to make the film. 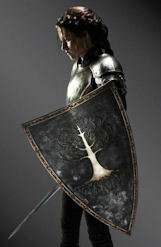 The visuals, effects and just overall look of the film were dark and gothic, yet full of fantasy and beautiful imagery. I can see why everyone was so delighted to be involved with the film when he produced an amazing short promo reel with nearly no budget and some extras. After more talks with the cast and how they became involved, I noticed there was a strong chemistry between Charlize Theron and Kristen Stewart. Theron kept making little comments and making it apparent that she is ready to take her on in the movie and telling Kristen that she is “ready for it b***h, let’s go!” — which brought the cast and crowd to laughter and made for a very fun panel. A lot more about the movie was discussed in vision and tone, but the most important part to come out of this panel was the release of four character posters, which we have below for you. 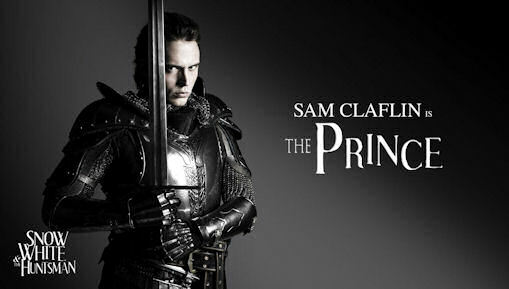 As you can see, Claflin is a pretty typical-looking prince, but based on his stature, I would say he is more on the reserved side as opposed to the heroic rescuer we are used to seeing in these types of films. I love the thought of Theron as the Evil Queen, her look and demeanor in the picture get me excited for how she will play the part as we are used to see her in the more heroine roles. 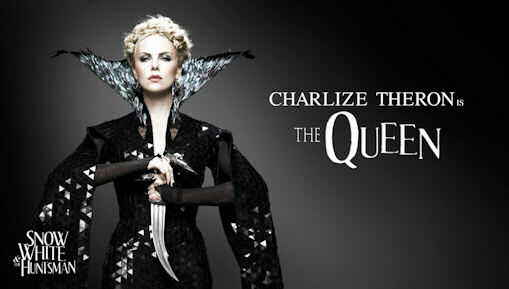 The costume design and sophistication shows that this queen might be more menacing than she appears. 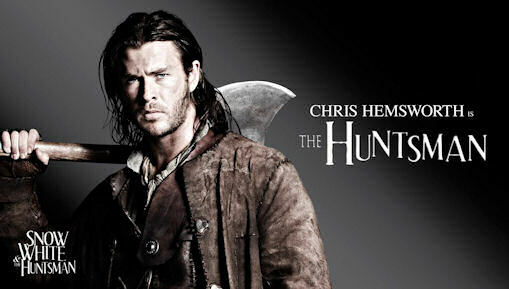 The final two promotional pictures are of Kristen Stewart, as a not-so-fragile princess, and Chris Hemsworth, as a dark brooding rugged huntsman who is supposed to kill her but then becomes her mentor and protector. Hemsworth looks good, but kind of typical with a darker hair color than normal, but the biggest surprise is Stewart in full armor, proving that this is not the Disney Snow White that we are used to. Stewart also said that she is looking forward to getting into the fight for this film. What do you think of the cast and their character pictures? Would you have preferred someone else to have gotten a specific role? Leave it in the comment section. 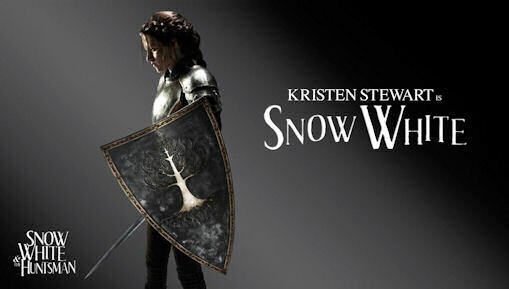 “Snow White and the Huntsman” opens in theaters June 1, 2012. Great casts can’t wait to see it.